Kapidan Gjon Mark Markagjoni (Gjomarkaj) was born in 1938, in Orosh, Mirdita, the son of Kapidan Mark Gjon Markagjoni and Marta Markagjoni. In 1945 at the tender age of 7, together with his mother and two sisters, Kristina and Celestina, he was sent to the Lushnja camp and subsequent camps where he lived until the fall of the regime in 1991. 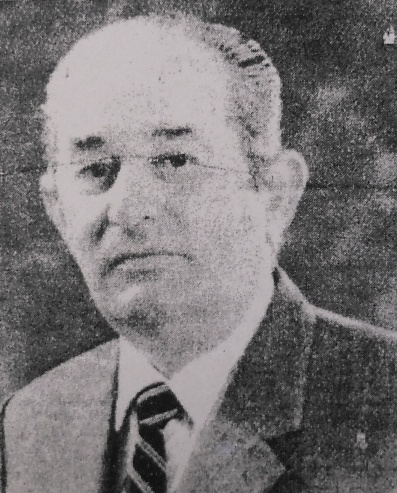 After the fall of the regime he returned to Shkoder, to his grandfather’s house, together with his uncle Dede and two of his aunts Marta and Bardha, later marrying in 1993. While in internment he was forced to work many jobs over time, deprived of any basic human rights. While interned Gjon grew into a man worthy of honor and proud to be a member of a noble family. He had the good fortune to build his life, and through work a strong resistance to the Albanians who were allies of Enver Hoxha. Gjon fondly remembered the hours of quiet laughter and more serious discussions on various issues that were spent with Don James Gardini, a prominent Italian priest who lived in Albanian prisons for ten years, and who later was part of the subject in a book he wrote relating to the topics discussed. With more respect and profound emotion he recalled his meetings with Cardinal Mikel Koliqi (1902-1997) during internment and after the regain of freedom 1991, where they together recalled conversations they shared previous years in regards to human rights and religion. While in Lushnja he attended elementary and secondary school full-time, learning Italian and French, but was always concerned for the family’s economic problems. Because of their stature the regime treated them worse than other prisoners thereby limiting their income. Gjon died peacefully in 2003 in his home in Shkoder after a long illness, surrounded by family and friends.